I really enjoy watching these re-enactments of the temple ceremonies. 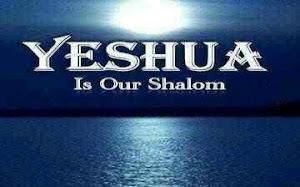 Within these 'shadows' we see the fullness of the Messiah!! For Example.... Each of the branches of the Menorah represent (this is admittedly just ONE layer) the feasts of YHWH. So from right to left (as hebrew is read) are Passover, Feast of Unleavened Bread, Feast of First Fruits, Shavuot, Feast of Trumpets, Day of Atonement, and Feast of Tabernacles. The Middle lamp is called the SHAMASH, the Servant. All the other lights are lit from this middle lamp. So the Middle Lamp, representing Shavuot, which is the giving of the Law on Mt Sinai, AND the giving of the Ruach HaKodesh (Holy Spirit) who writes the Law on our hearts, is ALSO clearly representing the Servant who LIGHTS THE WHOLE WORLD! Yahshua Ha Mashiach, the Word made flesh. I also noted that they prepared the oil and wicks for the first 5 lamps, paused and prayed and then prepared the oil and wicks for the last 2 lamps. Does something significant occur between the Coming King and the Day of Atonement?? ?